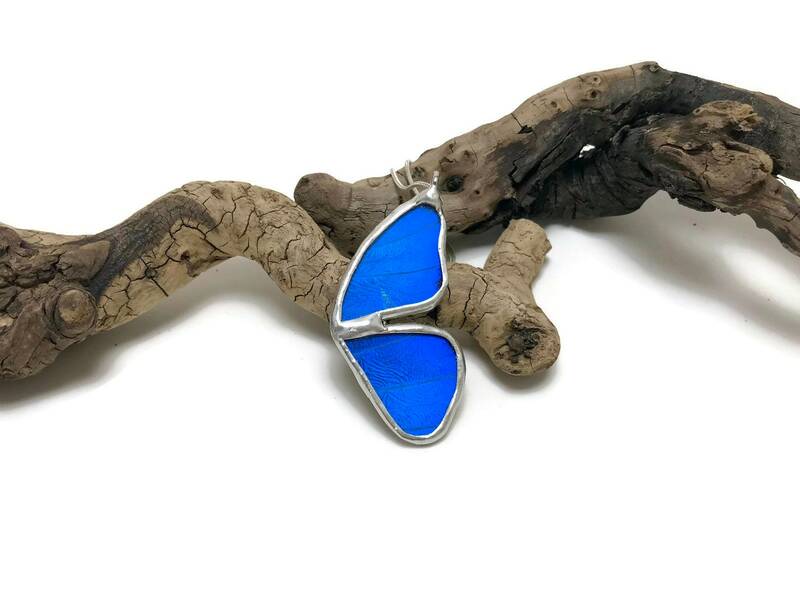 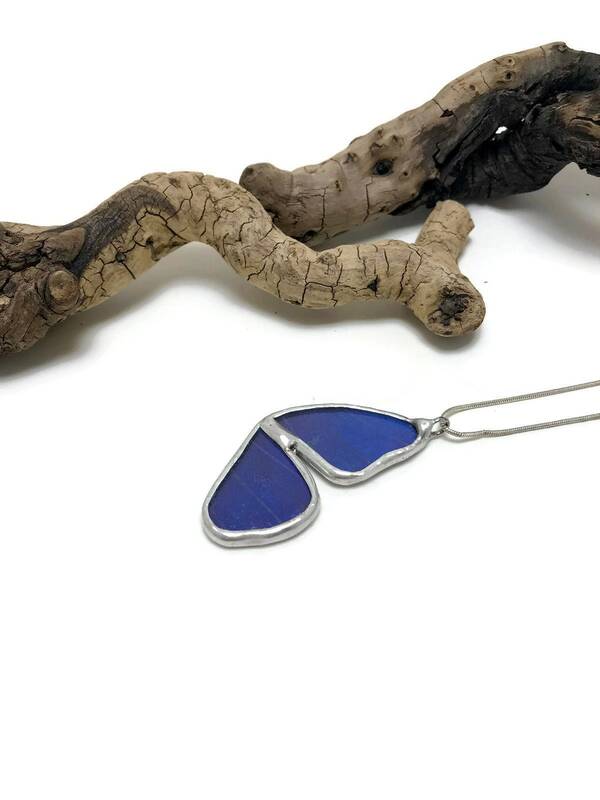 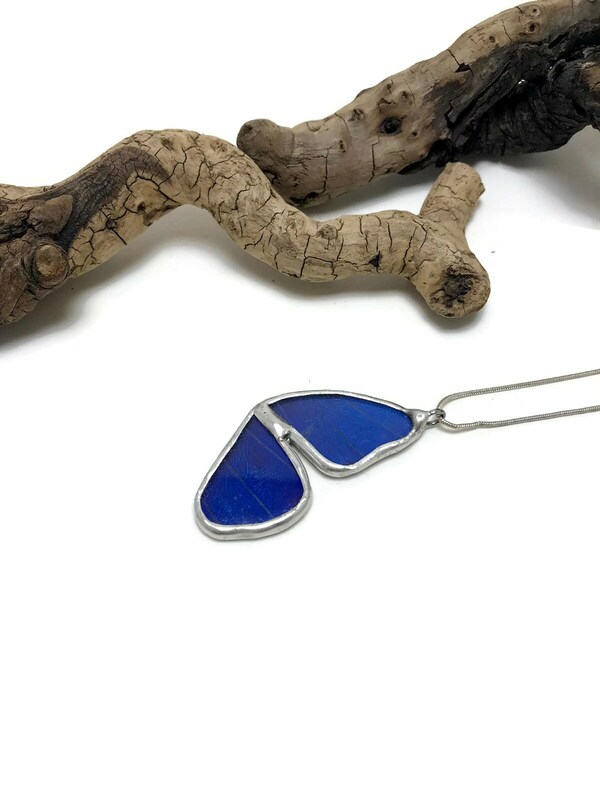 This is a real butterfly wing pendant made with the species Blue Morpho. 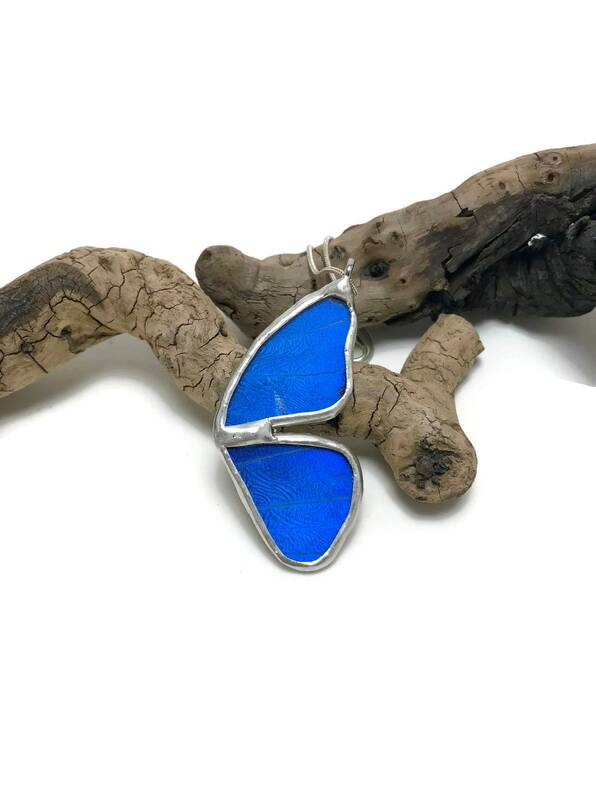 This butterfly is an amazing blue on one side and light and dark brown on the other side. 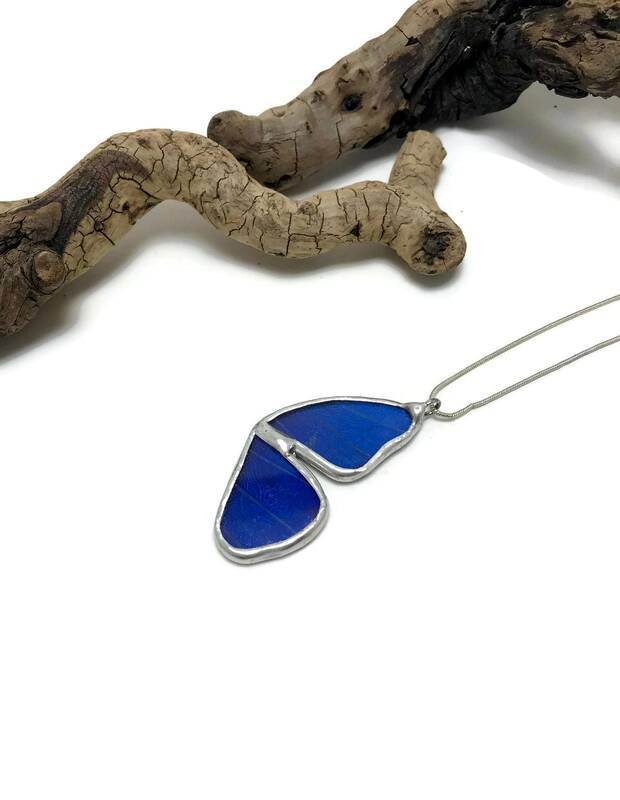 I use a clear UV glass that is hand soldered using lead free silver solder creating a beautiful framed butterfly wing. 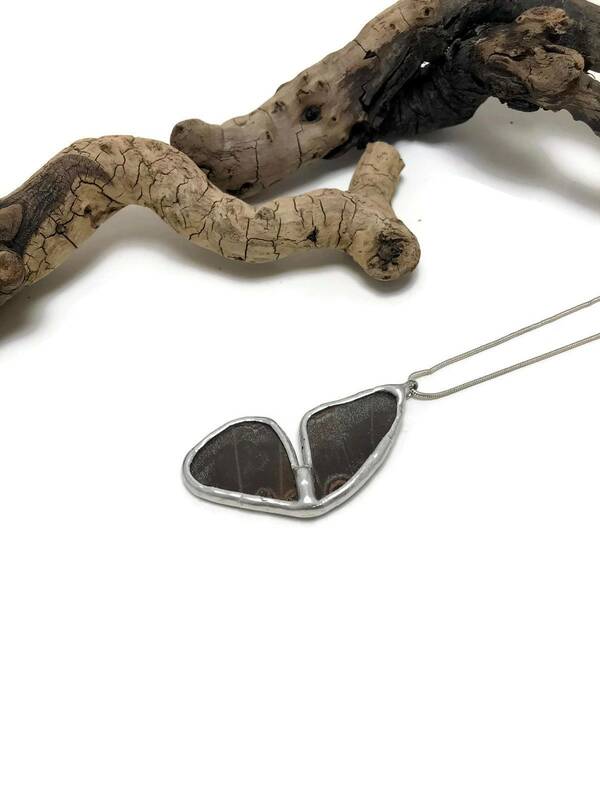 Each piece is truly one of a kind.